Reliant Astrodome, also known as the Houston Astrodome or simply the Astrodome, is the world's first multi-purpose, domed sports stadium, located in Houston, Texas, USA. The stadium is part of the Reliant Park complex. 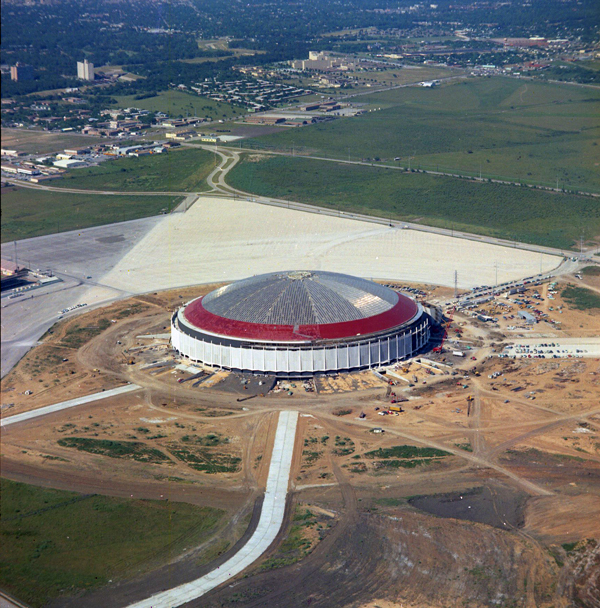 It opened in 1965 as Harris County Domed Stadium and was nicknamed the "Eighth Wonder of the World". In 2001, it hosted WWE (then known as WWF) WrestleMania X-Seven, which set an all-time record attendance for the Reliant Astrodome of 67,925. Parts of it were demolished in 2013, after several years of disuse. In 2014 it was listed on the National Register of Historic Places. 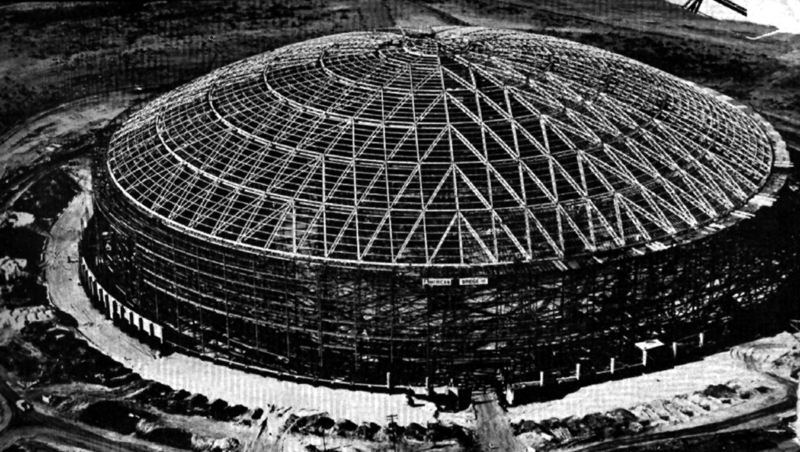 The Astrodome was designed by architects Hermon Lloyd & W. B. Morgan, and Wilson, Morris, Crain and Anderson. 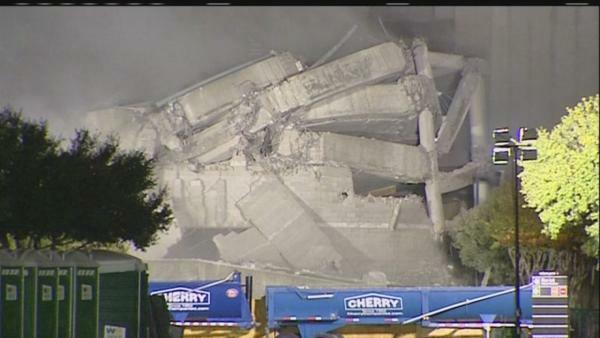 Structural engineering and structural design was performed by Walter P Moore Engineers and Consultants of Houston. It was constructed by H. A. Lott, Inc. for Harris County, Texas. It stands 18 stories tall, covering 3.8 ha. The dome is 220 m in diameter and the ceiling is 63 m above the playing surface, which itself sits 7.6 m below street level. Thirty seven erection towers were necessary in building Houston's Astrodome. 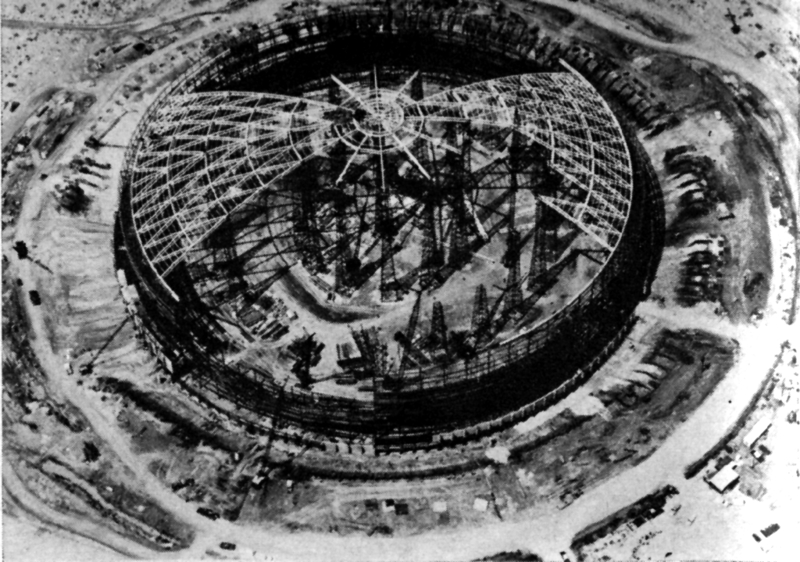 The Dome was completed in November 1964, six months ahead of schedule. Many engineering changes were required during construction, including the modest flattening of the supposed "hemispherical roof" to cope with environmentally-induced structural deformation and the use of a new paving process called "lime stabilization" to cope with changes in the chemistry of the soil. The air conditioning system was designed by Houston mechanical engineers Israel A. Naman and Jack Boyd Buckley of I. A. Naman + Associates. The multi-purpose stadium, designed to facilitate both football and baseball, is nearly circular and uses movable lower seating areas. 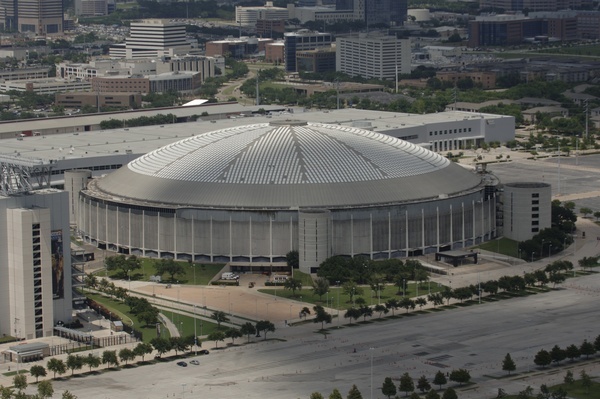 It also ushered in the era of other fully domed stadiums, such as the Pontiac Silverdome in Detroit, the Hubert H. Humphrey Metrodome in Minneapolis, the now-demolished Kingdome in Seattle, the Mercedes-Benz Superdome in New Orleans, and the now-demolished RCA Dome in Indianapolis.